T. Desmond Alexander. 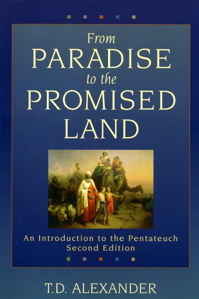 From Paradise to the Promised Land: An Introduction to the the Pentateuch. 2nd ed. Grand Rapids: Baker, 1995. T. Desmond Alexander and Brian S. Rosner, eds. 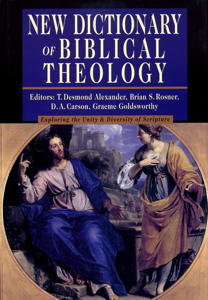 New Dictionary of Biblical Theology. Downers Grove: IVP, 2001. T. Desmond Alexander and David W. Baker, eds. 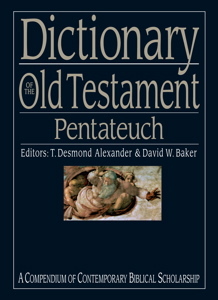 Dictionary of the Old Testament: Pentateuch. Downers Grove: IVP, 2003. T. Desmond Alexander. 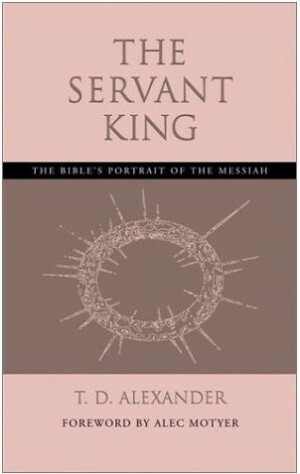 The Servant King: The Bible’s Portrait of the Messiah. Vancouver: Regent College, 2003. T. Desmond Alexander and Simon J. Gathercole, eds. 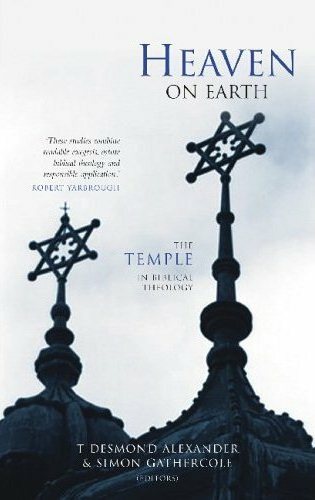 Heaven on Earth: The Temple in Biblical Theology. Carlisle: Paternoster, 2004. T. Desmond Alexander. 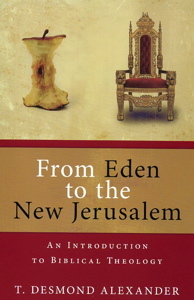 From Eden to the New Jerusalem: An Introduction to Biblical Theology. Grand Rapids: Kregel, 2008. Desi is an expert on the Pentateuch and biblical theology, and he kindly answered a few questions about the latter. 1. What is biblical theology? How does it compare to systematic theology? For me biblical theology is about understanding how the Bible as a whole should be read so that we can appreciate its message as the Word of God. I’m still a learner as far as this is concerned. What I’ve found to be helpful is discovering themes that tie together the big picture of Scripture. I’ve tried to convey something of this, hopefully in an accessible way, in my book, From Eden to the New Jerusalem. For me, it’s important that Christians grasp the grand story of what God is doing. Through the story, which I take to be historically true, we begin to understand something of ourselves and the world we live in. It is this story dimension that sets biblical theology apart from systematic theology. While I think that there is an important place for a systematic understanding of what we believe, it is through Scripture that God speaks to people as they grasp the biblical metanarrative. Hopefully, good biblical theology sheds valuable light on how we should read the Bible. For this reason, I think biblical theology is exceptionally important. 2. Briefly sketch out an example of addressing a theme with a biblical theological approach (e.g., temple, throne of God, evil, lamb, tree of life, people of God, rest). I’ve said something about most of the examples you list in my most recent book. So let me pick something that might not seem so obvious: the great city. Fundamental to my understanding of biblical theology is the idea that God created this world with the intention that it should become his dwelling-place, a temple-city filled with people who love and serve him (as reflected in Rev. 20-21). This was the original creation plan. Adam and Eve’s betrayal of God threw the grand design into chaos. Created with the skills to be city-builders, humanity set about building god-less cities. Exhibit number one is obviously Babel. However, in Hebrew Babel is also the name for Babylon. Interestingly, the building of Babel/Babylon is associated with Nimrod in Genesis 10, who is also responsible for the building of Nineveh in Assyria. As a mighty hunter ‘against God’ (not ‘before God’) Nimrod is the founder of a city/kingdom that opposes God’s city/kingdom. Remarkably, the story in Genesis to Kings ends with what appears to be a victory for Nimrod’s descendants (the Assyrians and the Babylonians). The city of God, Jerusalem, is sacked, God’s house is destroyed, and the royal line through which the nations are to be saved is exiled. Yet all is not lost, for the story does not end here. This big picture is important because it reveals how deep-seated aspirations to create human empires oppose what God desires. Obviously, the OT has lots to say about this (e.g., Habakkuk, Daniel). However, the NT picks up the same contrast. For example, the author of Hebrews has something important to say about the city of God, starting with Abraham. Likewise, the book of Revelation draws an important contrast between the here-and-now Babylon and the future New Jerusalem. I hope that this very brief biblical-theological sketch of the city makes sense. We’re only scratching the surface. Yet it is a theme that pervades the whole of Scripture. 3. Briefly sketch out an example of addressing a book of the Bible with a biblical theological approach. A good example might be John’s Gospel. John undoubtedly has the book of Exodus in view as he writes. His signs of hope to encourage belief in Jesus parallel the signs of Exodus (John calls them signs; Exodus calls them plagues): water to blood; water to wine; the death of the firstborn; the raising of Lazarus. John’s interest in the festivals and his ‘I am’ sayings are also connected to the exodus. Most of all for John, Jesus is the Passover sacrifice—his bones are not broken. As the first Passover sacrifices brought life to the Israelites firstborn males, so the sacrificial death of Jesus brings life to those who trust in Jesus. Eternal or resurrection life is a major theme in John. For John, Jesus is the ‘lamb of God’ who bring about a new exodus. Hopefully, a biblical theology reading helps us understand more clearly John’s message. 4. What are some strengths and weaknesses of biblical theology? There are various factors that would need to be mentioned to answer the question fully. Let me restrict myself to one of these. Biblical theology is largely neglected in most academic institutions because of the specialization that occurs in biblical studies. Most biblical scholars end up working in either the OT or the NT, and within these areas there is often further specialization. Too few scholars cross the divide between the Testaments, and those who do are sometimes viewed with suspicion. For example, you may be thought to be guilty of reading NT ideas into the OT. Or you may be considered to be less of a scholar because you don’t appear to appreciate the variety of theologies that are present in the Bible. While I understand the need for specialization, it means that there is less cross-fertilization than there ought to be. Working across the Testaments has certainly helped me to come to have a better and deeper understanding of the Pentateuch, my original area of specialization. I’ve recently finished a short book on the Gospels, looking at how they give four complementary pictures of Jesus. 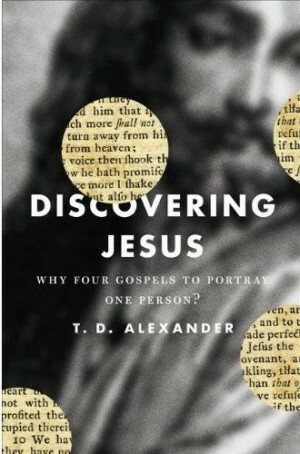 It’s due out this November from Crossway and is entitled Discovering Jesus: Why Four Gospels to Portray One Person? My main writing project now is a commentary on Exodus for IVP (UK) which, DV, I hope to complete in the next 12 months. 6. Thanks, Desi, for serving the readers of Justin Taylor’s blog with this interview! My pleasure. Thank you for inviting me to contribute something.